Dynamic adaptive Streaming over HTTP (DASH) is the upcoming streaming standard for the Web and will harmonize video delivery across the Internet. 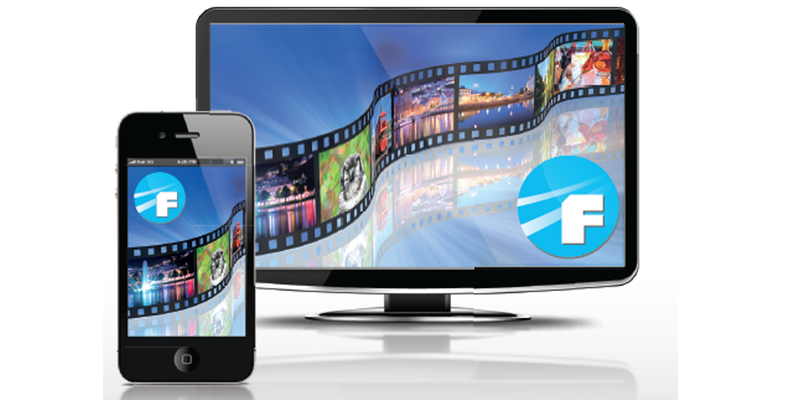 Fraunhofer FOKUS solutions Famium and DASH trans-coder form a platform for the consumption and delivery of adaptive bitrate content. Famium is a Webkit-based Web browser with integrated DASH support. The Famium extensions are based on W3C proposals on Media Source Extensions and Encrypted Media Extensions. For the usage in delivery networks, the DASH transcoder supports DASH-compliant content creation, including common encryption in ISO Base Media File Format (ISO BMFF) files. An exemplary integration of different DRMs is realized as well as live DASH and multiscreen scenarios. Non-linear video (NLV) is a technology which makes video content an interactive experience. Non-linear video gives the viewer the opportunity to interact with objects that are part of the video and access supplemental information. On demand, multimedia content is linked with related information. Interactive, time independent navigation opens new ways to experience video content. Designed as a cloud-based all-in-one solution, non-linear Video serves a comprehensive set of features for a wide range of target platforms, devices and applications. Our technical concept is entirely based on open Web technologies to allow a maximum of flexibility, platform-independence, and portability. NLV supports the following cloud-based services: Content Management System, Tagging Tool, interactive Players (Web, Mobile and SmartTV through HTML5, Flash, iOS, Android, CE-HTML, and Mediaroom) and Social Media Integration. The increasing amount of media, data and applications that are distributed across many devices requires much effort to preserve usability as well as privacy and security attributes when making such content available for different screens. 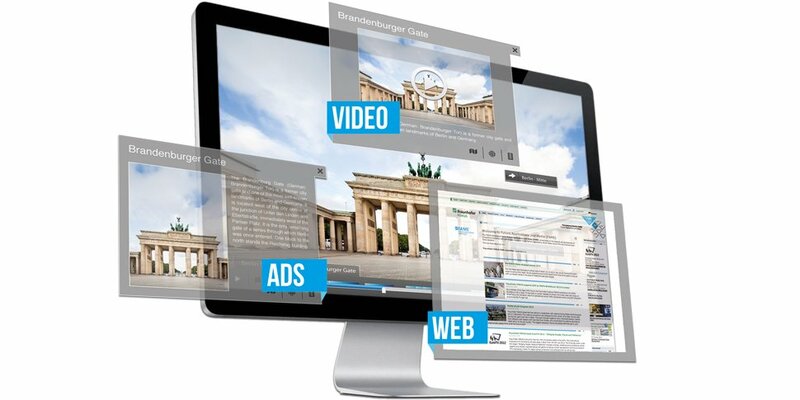 The multiscreen and multi-user application webinosTV utilizes the concept of the personal zone that enables a secure and convenient usage of services and resources provided by all connected personal devices independent of platforms and operating systems. 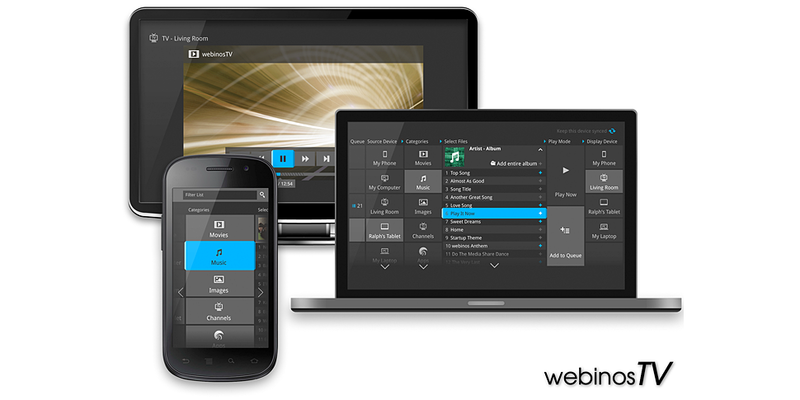 With webinosTV links between source and target devices can be created intuitively while providing access to the consolidated and shared content for the consumption on the desired screen.